Part a triangle section at the top of your head. 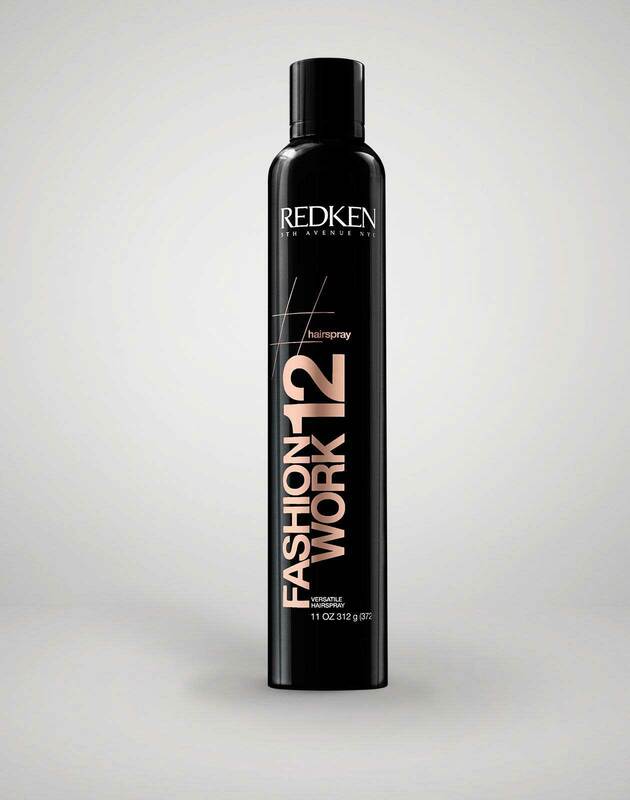 To create volume, back comb triangle section and smooth top with Fashion Work 12 Versatile Working Spray. Twist back of triangle section and push forward for extra volume. Shape to your liking and secure into place with hair pins. Start inside out braid by partings near ear. Loop end of braid half way through elastic. 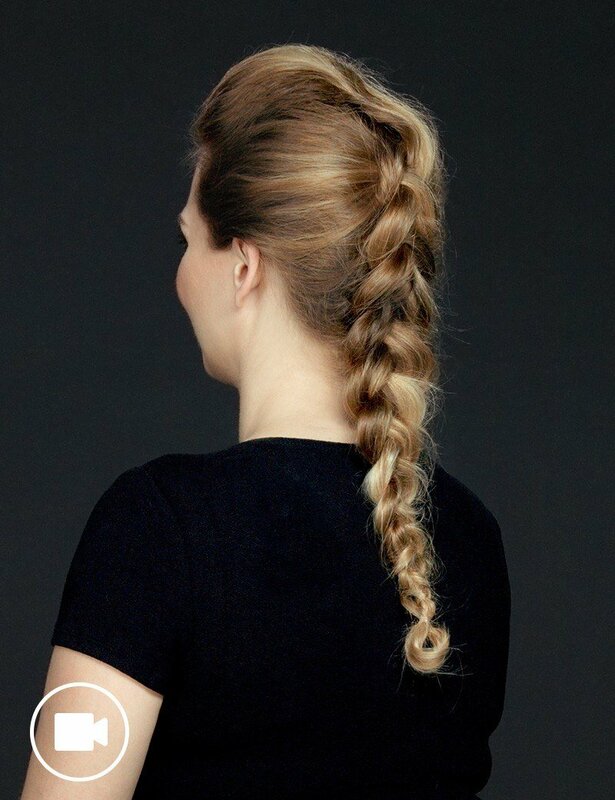 Pull pieces out of the braid while using powder grip as needed for added volume. Secure elastic with Fashion Work 12 Versatile Working Spray. Use a tail comb to change the shape of the volume you created at the top to your liking.